Hi, I'm from Poland I have recently got VG-8235. I'm charmed by this computer. I started to get to know him. 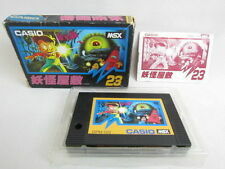 I like FM or OPL music very much played on MSX. How can I achieve this on my Philips? So the question is what the poster means exactly with FM and OPL. In my experience, the thing that most unsettles Newbies is the variety of music expansion cards available. 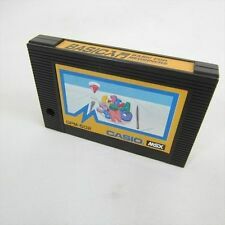 The advantage of such an open system is obvious, no other 8bit system offers this variety. But as a beginner you easily lose the overview and the desire to deal with it. Additional, it is difficulty that not all extensions are always available for purchase. Even if the FMPac is actually an OPLL, it is usually assigned to the FM sound generation among users. That's what Yamaha's SFG0x? Well, the good old Philips Music Module and Panasonic's FM Pac and their follow-ups would do for a gamer?